Conseravation Strategy Fund is delighted to announce the appointment of Dr. Mubariq Ahmad as the first Director of CSF-Indonesia. Mubariq has enjoyed a 30-year career working as economic policy researcher and professional activist in a variety of organizations including The World Bank (2009-2015), WWF (2003-2009), and LEI/Indonesian Ecolabeling Institute (1997-2000). He will take the helm of CSF's program on February 1. For decades Mubariq has been a national force for bringing practical economics into conservation policy. Among Mubariq's many accomplishments was co-writing and leading the development of Indonesia's National REDD+ Strategy, under a partnership between the World Bank and Indonesia’s Presidential Task Force for REDD+. 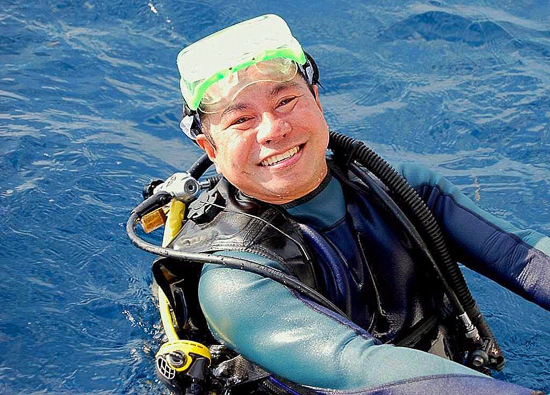 As CEO of WWF Indonesia, Mubariq led the development and promotion of Heart of Borneo Initiative and Coral Triangle Initiative (jointly with The Nature Conservancy and Conservation International) for adoption by the governments of Indonesia and five other signatory countries (2004-2008). He co-founded LEI and led the development of its forest and marine certification programs. Mubariq holds a Ph.D.in Natural Resources and Environmental Economics from Michigan State University (1997), an MA in Economics from Columbia University, New York (1990), and a Bachelor in Economics from University of Indonesia (1985). While remaining a lecturer on natural resources and environment economics at the University of Indonesia, Mubariq is also active in several national and international forums to promote sustainability. He served on the Board of Trustees of the Indonesian Biodiversity Foundation (2000-2003), as a member of the Steering Committee of the Forest Dialogue/TFD (2000-2008), and on the World Economic Forum Council on Ecosystems and Biodiversity (2008-2011). He serves on the International Editorial Board of Elsevier’s Journal of Forest Policy and Economics since 2000. Mubariq will guide CSF's Marine Conservation Economics program, launched in May 2015, which builds economics skills and awareness among Indonesian professionals focused on sustainable fisheries and coastal conservation. At the same time, he will be launching CSF work on forest conservation, applying economic tools to the challenge of providing stronger incentives for conservation across Indonesia's globally significant natural landscapes.